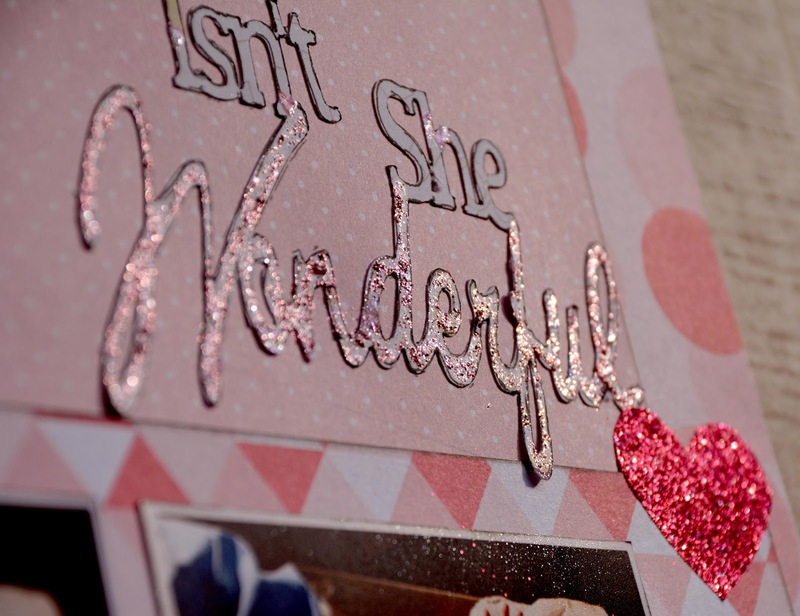 Today I have a cute pink layout to share. These are pics of my new baby cousin.. so cute (but I had to blur them out sorry). I used mainly Imaginisce papers and some DCWV. The tag on the bottom has the Twinery Bakers Twine in blossom. I inked the edges of all the papers and pics with black ink. The tickets on top are a design I made myself in the Silhouette Design Studio, I also cut the heart and title with my Cameo. The title has pink Stickles on the "Wonderful" and a few down in the corners. I fussy cut some of the shapes (a small heart, bottle at the top and a little foot on the bottom left of the left pic) and they are all on pop dots. With all the girls in your family it's great that you love pink! This is fabulous! Your niece will treasure it when she;'s older. Thanks for playing along with us at More Than Words! Such a super pretty layout which I am sure she will love as she gets older. Super effort. Thanks for playing with us at More Than Words. How exciting and congratulations on your baby cousin. Gorgeous layout and scrapy book page. Hi Jamie! What a fabulous page. 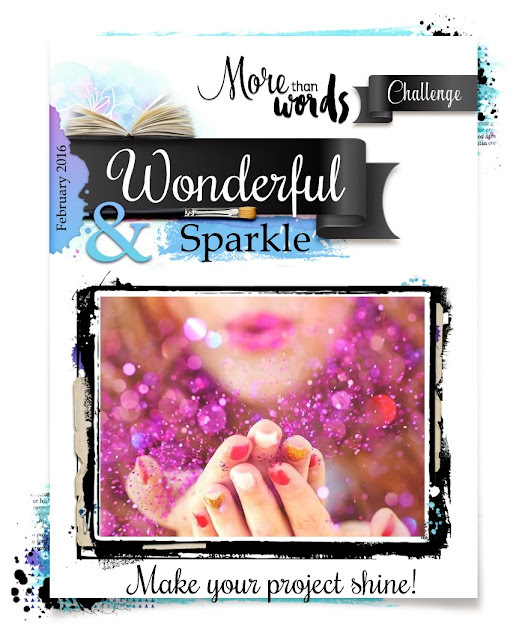 Thanks so much for joining us for our Celebate Challenge. I love having you play along, and I hope that you will stop by to join us again soon. And don't forget to check out all the fabulous ribbons, laces, trims, flowers and more at Really Reasonable Ribbon. Love the colors! Thank you for playing with us @ More than Words! Cute! Love pink. Thanks for joining us at Clique Kits! Great layout! Thanks so much for participating in our Really Reasonable Ribbon Challenge. 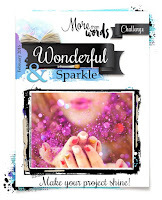 Oh, I love how your word WONDERFUL is so sparkly! Adorable layout! Thank you for playing along with us at More Than Words!